Skills of Economy – Post Models: Ore.e Refineries is the first in a series of exhibitions and events that will seek to understand the meaning of artistic practice at a time when the welfare state is in the process of being dismantled. This exhibition explores the work of the Ore e. Refineries organisation spanning the past eight years. The exhibition is part of curator Jussi Koitela’s Skills of Economy project. Over the past two decades, neo-liberalism has sought to turn the state into a corporation, devoid of values other than those of financial success. This has changed, and will continue to change, the state’s relationship with art, artists and cultural institutions alike and forces the art field to justify its activities and access to funding in a completely new way. In Finland, the post-welfare state has adopted a neo-liberal model that places prime responsibility for the individual’s welfare on the individuals themselves, alongside outsourced global and local providers. The objective of this model is to establish a service provider corps consisting of commercial enterprises tasked to operate as efficiently as possible and, ultimately, provide all public services in lieu of the state. It is, the argument goes, the only effective option currently available and, as such, the only possible means of delivering public services in the current and future demographic context. “Post-model” is a term used to describe a time when the economy and public administrations along with politics itself will have become fully de-politicised entities, as if we were living in a time devoid of ideologies and the societal models and ideas they engender. The management of our shared public affairs through parliamentary democracy is reduced to a managerial, care taker-like activity governed by rationality, in which values must not be allowed to interfere with the business of actual decision-making. Seen from a different perspective, the “post-model” in the title of this exhibition could also be taken to mean a time post the model described above. What forms might artistic activity take in the future and what sort of societal models might that activity open up? How can art make a critical contribution to ensuring the equal delivery of services such as transport, manufacturing, planning and archiving in the society of the future? Ore.e Refineries was founded by artist Eero Yli-Vakkuri and blacksmith and designer Jesse Sipola and focuses on promoting craftsmanship in the digital era. It operates somewhere in the middle ground between art, design and service provision to create both artworks and services that seek at once to resolve and understand the challenges arising from the current neo-liberal, global and digital reality in the areas of precarious labour, commodities, production, consumption, environmentalism and transport. The organisation’s activities are characterised by their highly speculative nature. Rather than creating art, design and services in keeping with the implicit demands of the current climate, their work generates meaning through an imagined set of new social, environmental and economic circumstances. Exhibition and the practice of Ore.e Refineries is supported by Koneen säätiö and Uudenmaan taidetoimikunta. The most important mission that capital has given to itself is expansion. The history of capital is characterized by conquering one chapter after another of new physical areas and species, simultaneously capturing the human body and mind. Capital is constantly aiming for the discovery of new areas, technologies and creatures for its expansion. This expanding is the only thing that keeps capital alive and developing. After the immaterial economy in a Post-Fordist society, artists and other actors of the art field have become the most efficient and well-suited operators for capital. In the present world capital needs labor to connect meanings to symbols, symbols to events, events to materials and materials to meanings. The artist and the curator are the perfect characters for this job. This puts them at the heart of the contemporary capitalizing process. Here lies the paradox of present artistic work. Freedom and flexibility to connect meanings and shape the public image of oneself are no longer privileges that put the artist and curator in a position outside regular work. Instead it gives them more power and possibilities to create a counter-capitalizing process or, at the end, to occupy present capitalism. Alma Heikkilä (b. 1984) lives and works in both Helsinki and Hyrynsalmi, Finland. Heikkilä’s works consist of paintings, installations, videos and photographs. The starting-point for her work is human existence on the planet of growing natural disasters. In her works Heikkilä has visually visited places where human reality happens, connecting them with the era of humans as the greatest force defining the environment. She completed an MFA at the Finnish Academy of Fine Arts in 2009. Her work has been shown in galleries and museums in Finland and other countries. Heikkilä is the co-founder of two artist run projects Oksasenkatu 11 and Mustarinda. Saara-Maria Kariranta is a Helsinki-based sculptor (b.1974). She graduated with an MFA from the Finnish Academy of Fine Arts in 2012. Kariranta combines traditional sculptural techniques with contemporary technology, often in combination with everyday objects that are found around us.In her recent work Kariranta examines human practices as a part of society. Even though her art addresses global social questions, she does not approach these issues empirically, but rather with liberty to create narrative between information that is being created by media and research-based science. Iain Griffin (b. 1989) is a visual artist currently based in Belfast. He graduated with First Class Honours in Sculpture from the National College of Art and Design Dublin in 2011. Iain has exhibited in exhibitions including trueprod2k11, PS Squared, Belfast (2012) and Alternative Histories, Ulster Hall, Belfast (2013). Iain’s practice uses relational situations to assess commitment and to what extent it is undermined by apathy, both in a personal and societal context. In refutation of practices in which the artist decrees (what they consider to be) a truth through visual art, Iain’s practice dissects the act of expressing truth. This has taken multiple forms including hiring an Asian man to attend a protest on his behalf, hiring a tribute band to tribute another tribute band, renting out his Art College tutor, selling his best friend on the internet and creating a stage play script composed of YouTube threads.! POGON – Zagreb Center for Independent Culture and Youth, 11th of December from 7pm. Skills of Economy is a curatorial concept dealing with contemporary artists’ actions towards the current economical situation and the entire concept of economy as a whole. Economy and economical rhetorics have filled up media space in the western world. Economy has become the most important way of describing the world and it’s progress. Skills of Economy is a project that researches and archives contemporary artistic reactions in this societal situation. The Skills of Economy creates a flow of views from artists, curators, activists and theorists on current artistic production and different ideas on how mainstream and hegemonic economic thinking and reality can be challenged through artistic and activist practices. These ways can be roughly divided into symbolic and direct actions. Symbolic actions can create new representations of the visualization of economy or re-perform economic concepts, situations and habits. On the other hand, direct actions, such as time banking, may be giving form to local ways of organizing change. The effects of these actions are neither purely symbolic nor direct, instead they are in dialogue with economical rhetorics as well as with different realities and politics connected to these. The event highlights art and economy both as strong targets of politics and as media of politics. Jussi Koitela (b.1981) is a curator and visual artist based in Helsinki, Finland. As a curator he is currently focused to artist’s reactions to economical discourses. His artistic work is to conceptual media art and collaboration projects. He is interested in social discourses and the settings where they are realized. Koitela is studying in Praxis Master’s Program in Finnish Academy of Fine Arts. Recently he has participated Perpetuum Lap – Curating the Political Workshop in Baltic Art Center and many public discussions and debats about art, economy and institutions. 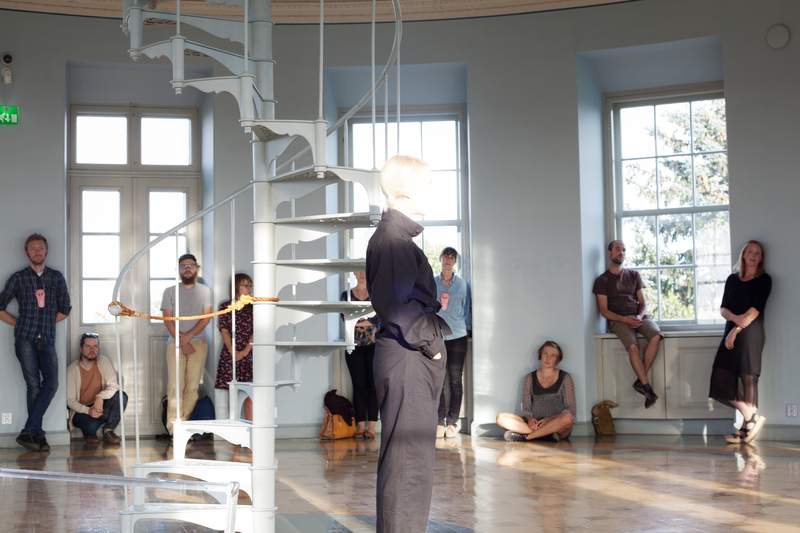 Skills of Economy Event curated and organized by Koitela was held at Finnish Academy of Fine Arts October 2013. Skills of Economy is a curatorial concept focused on contemporary artists’ actions towards the current economy and economic rhetorics. Economy and economic rhetorics fill up media space in the Western world. Economy has become the most important way of describing the world and measuring its progress. 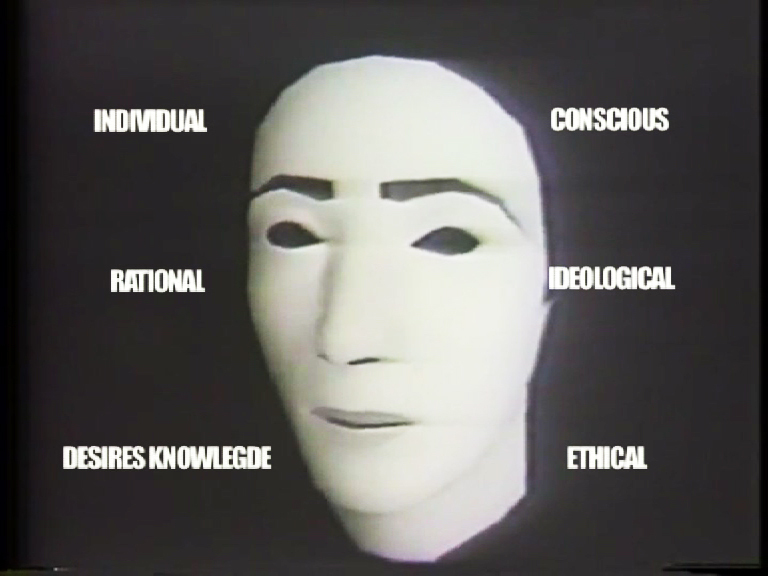 Skills of Economy is a project that researches and archives contemporary artistic reactions in this societal situation. 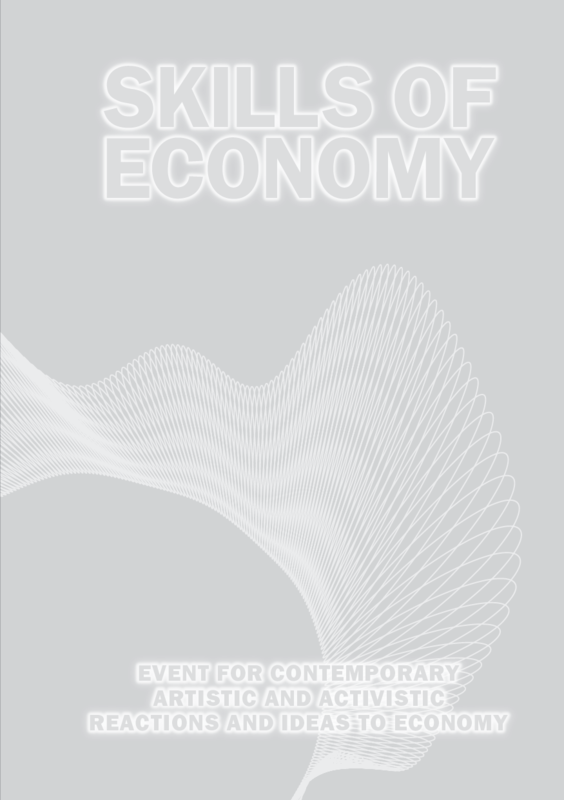 The Skills of Economy Event creates a flow of views from artists, curators, activists and theorists on current artistic production and different ideas on how mainstream and hegemonic economic thinking and reality can be challenged through artistic and activist practices. These ways can be roughly divided into symbolic and direct actions. Symbolic actions can create new representations of the visualization of economy or re-perform economic concepts, situations and habits. On the other hand, direct actions, such as time banking, may be giving form to local ways of organizing change. The effects of these actions are neither purely symbolic nor direct, instead they are in dialogue with economical rhetorics as well as with different realities and politics connected to these. The event highlights art and economy both as strong targets of politics and as media of politics. Do you energetically perpetuate an economy of boundaryless social and working life? Experiencing an “investiture crisis”? Have you ever considered “power dressing” by means of a real-life avatar? Real-life avatars demonstrate new ways of living in bodies – such as lending one’s body to another, being nebulously anywhere, or constantly reassembling – thus augmenting the presence of those that they represent. Their project operates twofold. On the one hand, they represent a precarious social and working life made of flesh – a critical illustration, exaggerating existing power relations through to their logical end point. On the other hand, they reappropriate the means of immaterial production, connecting bodies and minds in subversive ways – a means to self-actualize, or take time off. Copper is one of the first metals people have learned to use and it has a lot of applications. Modern cities and lifestyles are dependent on it. It is the best medium for transmitting information and energy. You’ll find it inside walls and computers, conveying electricity and bits. As it doesn’t rust it’s also used in plumbing systems and as a roofing material. “Copper is 100% recyclable without any loss of quality”. Copper is mostly hidden form plain site, inside transducers and PVC insulation – and people aren’t aware how much of it is wasted. As buildings are renovated it’s common to dispose of old electric wires by throwing them in the trash… When you learn to look for it you start to see the city in a new way. Every dumpster is a treasure chest filled with copper bullions turned into spaghetti. A kilo of copper can be sold for 3-to-5 euros! But before you start profiting from extension cords and copper strings you’ve pulled from your amplifier, you’ll have to strip the insulation. Inside 10 kg of the common three-phase copper cable (similar to what you find in laptop chargers) there is nearly 2,8kg of copper. You also need to know where you’ll get the best price for your efforts. See the city from the scavenger’s perspective; hunt for copper junk in Helsinki! What is economy, but the way we organise life together – wants and needs, skills and talents alike – which many would like to see as a site of ethical action. Unlike in the money system as we know it, a currency can be part of an economic paradigm shift challenging notions of scarcity and competition, and instead foster notions of abundance and cooperation whilst working towards common goals. 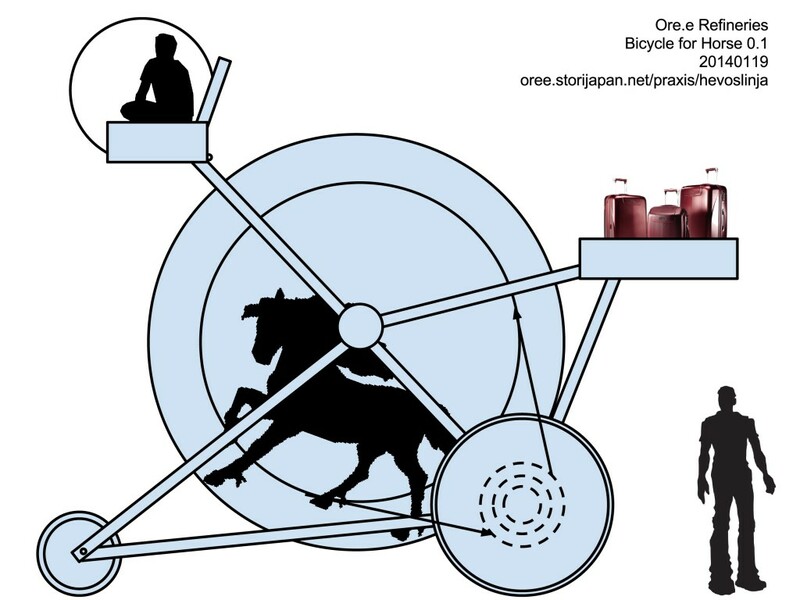 Stadin Aikapankki’s Tovi currency wants to enable mutual assistance between people, strengthen a communal culture as well as a social and ecological locally embedded economy, in which everyone is of equal value and has equal participation possibilities. Developing a currency in order to start taking back our economy to serve our (global) communities involves utilising many a skill, from those traded in Aikapankki, to the skills deployed and developed in the participatory process shaping our principles and rules of working. Within the frame of “Skills of Economy”, Société Réaliste presents several projects developed over the last years, approaching the contemporary capitalist economy as a generalized and legal swindle. Therefore, the cooperative will present various experimental economy projects, dealing with pyramid schemes applied to the economy of contemporary art (“Ponzi’s”), the immigration business (“EU Green Card Lottery”), retirement plans and financial security for artists (“Artist Pension Trust”), long-distance investment programs for new cities in emerging countries (“Laissez-Faire City”), or corporate lodging resorts dedicated to alternative economy companies in the field of cultural production (“Left Bank Valley”). 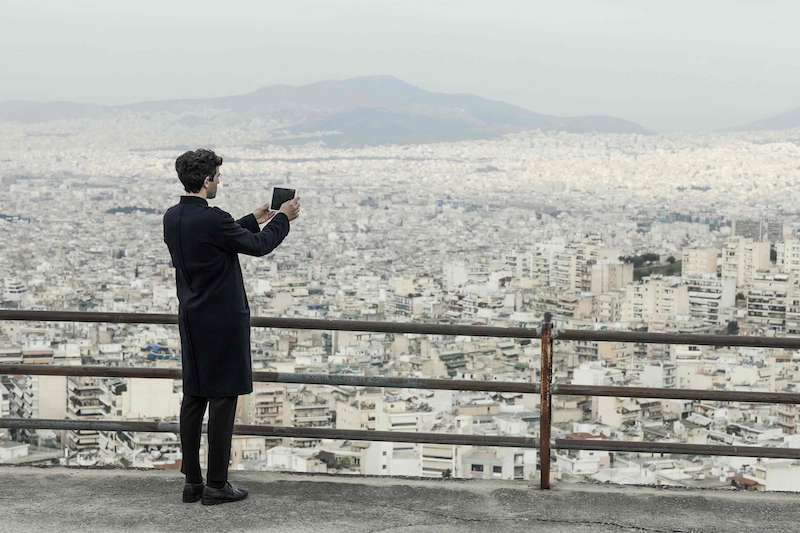 History Zero, Stefanos Tsivopoulos’ work that represents Greece at the 55th Venice Biennale, comprises a film in three episodes alongside an archive of texts and images. The film, conceived and produced in Athens in the midst of crisis, questions the value of money and the role money plays in the formation of human relationships by depicting the experiences of three very different individuals: an art collector suffering from dementia; an African immigrant who wanders the streets of Athens pushing a supermarket trolley and collecting scrap metal; an artist who observes and records street scenes with his iPad. 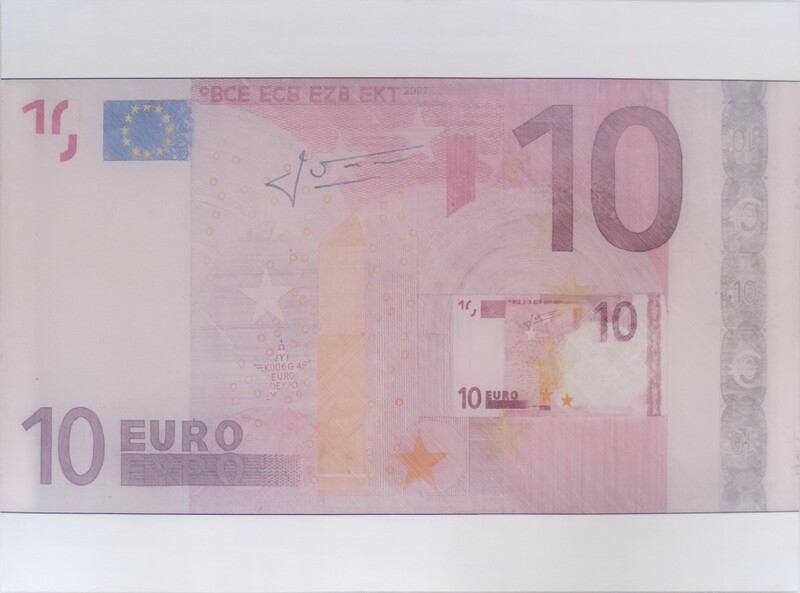 The central part of the installation consists of the archive of the ‘Alternative Currencies – An Archive and a Manifesto’.It is a collection of texts and images, put together by means of research and selection that contains examples of alternative, non-monetary exchange systems from all around the world. Focusing on historical and contemporary applications of alternative social experiments, such as a system of cash transfer using pre-paid mobile phone minutes that is evolving as a form of alternative currency in parts of Africa, the archive stands as a clear political statement which questions the homogenizing power of a single currency. The work as a whole contests the established meanings attributed to value, creating space for different or even revolutionary concepts that might inspire a critical re-approach of our own evaluation systems. The presentation of the work History Zero in the context of the Skills of Economy Seminar aims at highlighting the potentiality of art to articulate a unique poetic discourse, still firmly rooted on the material conditions of today’s life. Economic narratives and discourses dominate public debate, policy-making, education and a great number of other social institutions. We live in the (neoliberal) age of economy. However, there is no such thing as the ‘economy’ without the everyday performances of economic narratives in practices of calculation, valuation and exchange. What kinds of ‘economic’ performances are we engaging in and urged to engage ineveryday? Is there room for symbolic and practical counter-performances in the contemporary political economy and, if so, then how can art contribute towards creating divergent narratives and performances? Overview of the Visible Solutions LLC’s practices and artwork–products. Extreme levels of privatization can only be carried out under conditions where people are under severe pressure, as in the transformation of former Soviet republics towards independence and capitalism. Since the Rose Revolution in 2003, the former Soviet republic Georgia underwent such a radical transformation. President Mikheil Saakashvili implemented one of the most extreme neoliberal projects in the world. Today, Georgia is 9th of 185 states in the World Bank ranking “Ease of Doing Business”. While the “common good accumulated within the communist regime during 70 years of its existence” (Rusudan Mirzikashvili, The Plundering) is being sold off, the unstable situation in a radical, free-market economy and the liquidation of most social safety nets drove most Georgian residents into un-experienced levels of poverty. 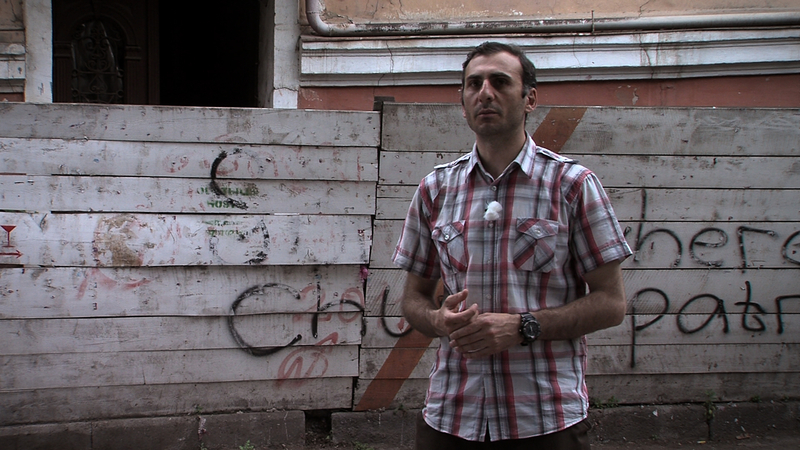 The film The Plundering focuses on four cases of aggressive, state-property privatization policies in Tbilisi. Through interviews, it discusses the privatization of the water system in Tbilisi and of Tbilisi’s popular market, the Dezerter Bazaar. A newly emerging movement prevented the attempted sell-off of the National Scientific Library, and the destruction and conversion of the historical Gudiashvili Square in Tbilisi’s city center into a shopping mall. “Objects of strategic importance were sold to the benefit of some people close to the government”, Levan Asabashvili describes these processes of systemic corruption in the film. 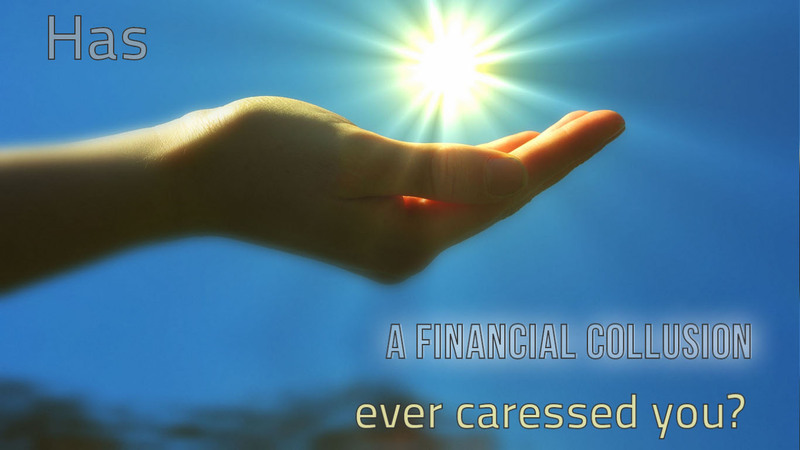 Usually the purchasers are hiding behind companies registered offshore. Instead of making counter ads and jamming consumer culture Parallel Ads is an attempt to redirect cash flows away from corporations to small independent entrepreneurs. It is an effort to support marginalised industries (such as crafts and ethical foods) by making them look sexier then their corporate counterparts. The project has also helped to increase consumer awareness by clearing misconceptions consumers may have concerning specialized goods such as organic foods and sustainable designs. The original goal was to select ethical (ecologically sustainable, local and good hearted) businesses by random and to provide artistic skills and tools to make street credible advertisements for them. These ads could then be distributed trough the art world networks and be presented for global audiences through art fair screenings and exhibitions. It was lauched 2010 as a part of the Media Facades festival in Helsinki. The second edition of Parallel Ad was made for artist-blacksmith Jesse Sipola from Oshipala Airhammer Studios. This time the selection of whom to advert was not random, it was tactical. The project is intended solemnly online – And it aims to seriously expand peoples understanding on crafts and to clear clichés consumers project to blacksmiths. 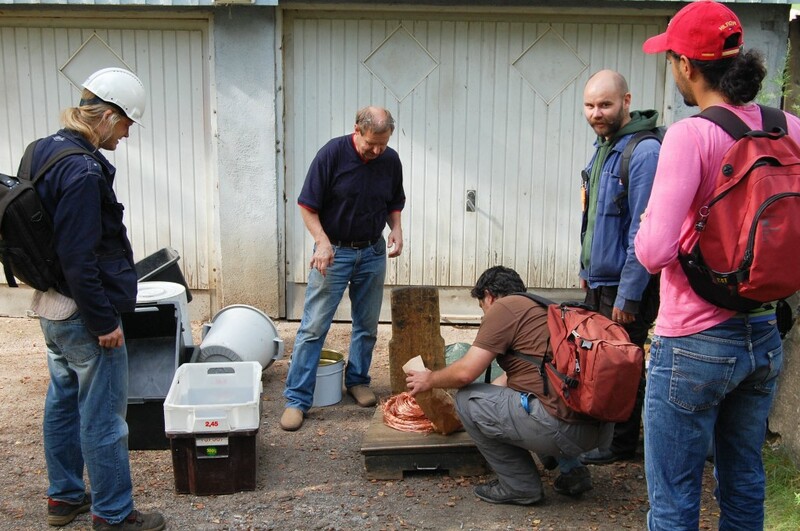 As the first effort a smithing festival called Rautasulka was streamed online using the Bambuser-service. This was likely the first time contemporary crafts festivals where shown live online. 2011 a more detailed informercial “Jesse Sipola, Seppä | Blacksmith (2011) of the praxis of blacksmith Sipola was published. In two years it has had more then 10K views and if currently featured on many blacksmith forums. Sipola used the same video material to edit a video targeted for his blacksmith peers. The edition Sipola made projects a more technical view on his craft. It is unclear which version has a more positive impact on the craft of blacksmithing. Crafts is the most important field of study for anyone interested in sustainable design and post-industrial economics. In September 2011 Teemu Takatalo’s consumer critical mural The Absolution of the Enlightened Consumer was censored and destroyed in a gallery, in Tampere, Finland by the producers of the exhibition. The painting consisted of painted company logos of nine business enterprises, having their shops in the same shopping mall as the gallery, and texts about negligence of their social and environmental responsibility programs. The brutal act against a surely critical but harmless painting evoke lame public discussion about artists’ freedom of expression, but first of all it brought up some crucial questions: why, on the whole, is business life trying to convince us about its virtue? If and when the destructive character of the capitalist economy is a generally accepted fact, why does someone who admits this still kneel and stoop in front of the altars of capitalism? By analyzing this, Takatalo figured out a wider conceptual error that exists in consumption and capitalist production: both are structured in a way that remarkably resembles Christian theology, even though capitalism and Western culture are nowadays primarily understood as secular. As a capitalist market is a platform for most of human interactions; the Christian ´concept of goodness has transformed in immaterial qualities of products, ´good deeds´ are done by consuming and absolution happens in a super market instead of a church. However, despite all this goodness, the capitalist market and production has created a growing number of serious global problems. These dynamics have created a new political subject: an enlightened consumer. Ayn Rand (1905-1982), Russian-born American novelist made a film adaptation of her second novel The Fountainhead in 1949. The studio movie was directed by King Vidor and featured Gary Cooper and Patricia Neal in the main roles. The movie tells the story of Howard Roark, a Promethean modernist architect – a character based on the figure of Frank Lloyd Wright – fighting against a surrounding collective decadence in the name of his personal genius. This original movie is a propagandist response to the Nazi and Soviet films of the pre-war period. At the centre of the script emerges the city of New York, seen as the idealised incarnation of capitalism. A few years later Rand synthetized her zealous embracement of the capitalist ideology in her “objectivist” theory, a willingly globalising and militant concept followed by numerous admirers such as Ronald Reagan and Alan Greenspan. With the aim of deleting the plot of the original version, Société Réaliste have removed the sound and every human presence from their version of The Fountainhead to reduce the film to its decorum, it’s ideological architecture. It’s all about the atmosphere of the film, the fantasized portrait of the city of New York, the visual discourse on the architecture of a closed world, the glass tower of the titans of capitalism. 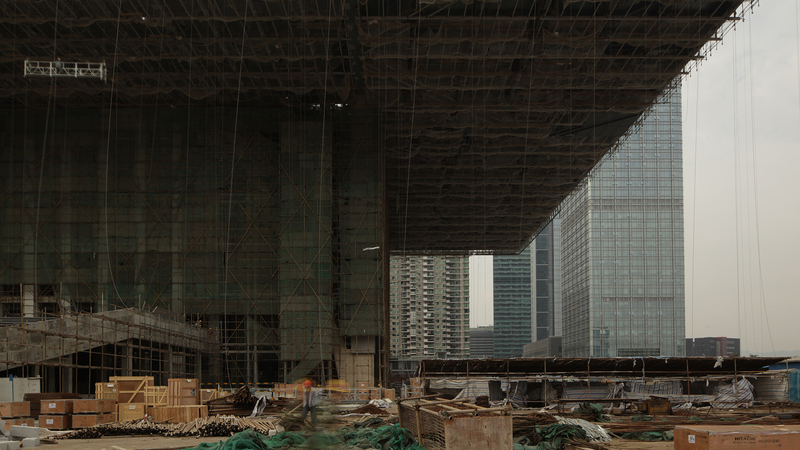 Unsupported transit is set on a construction site in Shenzhen, the first of China’s Special Economic Zones, where a new stock exchange designed by Rem Koolhaas’s Office for Metropolitan Architecture is now being built. On this site, a story is told that begins with Eadweard Muybridge’s early sequential photographs and a commissioned work he carried out for Leland Stanford before the famous horse pictures were produced. The mechanism by which the images in the film were produced becomes clearer as the story moves on to a description of time-lapse photography and what Karl Marx described as the “abbreviated form of capital”—a form that makes capital appear to move of its own accord. Jussi Koitela (b.1981) is a curator and visual artist based in Helsinki, Finland. As a curator he is currently focused on artists’ reactions to economic discourses. His artistic work consists of conceptual media art and collaborative projects. Koitela is interested in social discourses and the settings where they take place. He is studying in Praxis Master’s Programme at the Finnish Academy of Fine Arts. Recently he has participated Perpetuum Labs – Curating the Political Workshop in Baltic Art Center and several public discussions and debates about art, economy and institutions. Jenna Sutela works with words and structures in the fields of design and art. Her projects seek to identify and react to precarious social and material moments – most recently, the physical nature of information networks and the relationship of art to work. She is a contributor to several international publications and has a background in media studies. Oliver Ressler (b.1970) lives and works as an artist and filmmaker in Vienna, Austria, and produces exhibitions, projects in the public space, and films on issues such as economics, democracy, global warming, forms of resistance and social alternatives. His projects have been shown in solo exhibitions at the Berkeley Art Museum, USA; Platform Garanti Contemporary Art Center, Istanbul; Museum of Contemporary Art, Belgrade; Kunstraum at the University of Lüneburg; Centro Cultural Conde Duque, Madrid; Alexandria Contemporary Arts Forum, Egypt; Bunkier Sztuki Contemporary Art Gallery, Krakow and The Cube Project Space, Taipei. Ressler has participated in more than 250 group exhibitions, including the MASSMoCA, USA; Itaú Cultural Institute, Sao Paulo; National Museum of Contemporary Art, Athens; Van Abbe Museum, Eindhoven and at the biennials in Prague (2005), Seville (2006), Moscow (2007), Taipei (2008), Lyon (2009), Gyumri (2012), Venice (2013) and Athens (2013). A retrospective of his 15 films took place at Centre d’Art Contemporain Genève throughout 2013. For the Taipei Biennale 2008, Ressler curated an exhibition on the anti-globalization movement, A World Where Many Worlds Fit, which was also presented in 2010 in the Foreman Art Gallery of Bishop University, Sherbrooke, Canada. A traveling show on the financial crisis, It’s the Political Economy, Stupid, co-curated with Gregory Sholette, was presented at Centre of Contemporary Art, Thessaloniki and Pori Art Museum in Finland. Their book It’s The Political Economy, Stupid: The Global Financial Crisis in Art and Theory was published by Pluto Press in 2013. Ore.e Refineries is an independent organisation advocating sustainable design and offering cost efficient handicraft services. The company was founded 2007 as an art project focused on producing a copperplate suitable for printing fine arts. Currently Ore.e Ref. is developing into a sustainable business and offering its services to professionals working with design and the arts, who wish to have a more personal relationship with the raw materials they are using. For consumers Ore.e Ref. is offering services ranging from cosmetics to a rebooted version of the Speaking Clock service. The company has created online campaigns in an effort to convince designers NOT to design chairs, hosted public workshops on “How to Sharpen Knifes” in design fairs and developed a moustache wax formula (from ingredients found in the Baltic Sea drainage basin environment). Recently Ore.e Ref. has begun collaborating with conceptual artists and designers. “We encourage people who use metals and other ready-made material in their work to take note of the technology and ethical backgrounds: where and how these materials are collected and refined”says the company’s Head of Management and Sales, Eero Yli-Vakkuri. In short, Ore.e Ref. is a manifesto for labor and the intrinsic value of handmade things. Ruby van der Wekken considers herself a member of the global justice movement, and is currently working at the Siemenpuu Foundation, which cooperates with partners in the Global South around issues of ecological democracy. She also works actively on the development of Stadin Aikapankki which she is a co-founder of, and in which people and organizations exchange services on the basis of time. She is furthermore part of a collective which wants to bring forward/develop the discussions around the Commons and Solidarity economy in Finland. Société Réaliste is a Parisian cooperative created by Ferenc Gróf (1972, Pécs, HU) and Jean-Baptiste Naudy (1982, Paris, FR) in 2004. It works with political design, experimental economy, territorial ergonomy and consulting in social engineering. Polytechnic, it develops its production schemes through exhibitions, publications and conferences. The large monographical exhibition project, “Empire, State, Building” was presented in Jeu de Paume (Paris), Ludwig Museum of Budapest and the National Museum of Contemporary Art of Bucharest in 2011-2012. This year, Société Réaliste has presented its work as solo exhibitions in Paris (“Thelema of Nations”, Galerie Jérôme Poggi), New York (“A rough guide to hell”, P!) and Athens (“The Shape of Orders to Come”, Salon de Vortex) as wall as in several group exhibitions in Dresden, Bruxelles, Rome, Thessaloniki, Budapest, Paris, and Aachen. Born in Larissa in 1968, Syrago Tsiara lives and works in Thessaloniki. She is a curator, art historian and director of the Thessaloniki Center of Contemporary Art, part of the State Museum of Contemporary Art – Costakis Collection. Tsiara studied Art History at the Aristotle University of Thessaloniki, Social History of Art at the University of Leeds and completed a PhD on public art and national memory in Greece. She was a curator of the 2nd Thessaloniki Biennale, Praxis. Art in times of Uncertainty (2009). Shows which she has curated for the Thessaloniki Center of Contemporary Art include Masquerades: Femininity, Masculinity and Other Certainties (2006); Disquieting Muses (2011); and Places of Memory – Fields of Vision (2012). Tsiara taught public art, historical avant-gardes and art theory at the University of Thessaly (2004-2007). She is currently curating the Greek Pavilion for the 55th Venice Biennale. Greece is represented by Stefanos Tsivopoulos and his work is entitled History Zero. Her academic and research interests include art in the public space, collective and participatory projects and the issues of politics, memory and gender in contemporary art. Teemu Takatalo (b. 1979) is a Finnish visual artist and filmmaker. Everyday politics and alternative ways of living are often the topic of his utopic-documentative video works, photographs, installations and sound works. Takatalo is the founder of artistic city research unit Center of Urban Expeditions. He has been part of Floating Residence Project, building D.I.Y. river rafts from recycled materials in Lithuania 2005 and in Germany 2006. During the years 2007 and 2008 Takatalo walked from Brussels to Istanbul with his colleague Raila Knuuttila. In 2010 he and a bunch of other artists and craftsmen built another recycled material water vessel. It was launched on the Baltic Sea the same summer and sent on a voyage to research the complexity of our self-destructive contemporary lifestyle and society. Since 2011 Takatalo has been working with problems of consumerism and so-called green capitalism. The results have been compiled in a series of artworks under the title Enlightened Consumer. Teemu Takatalo’s art has been exhibited in several solo and group exhibitions, video festivals and video art screenings in Finland, Lithuania, Latvia, Belgium, Greece, Denmark and Germany. Ville-Pekka Sorsa works as postdoctoral researcher at the Department of Political and Economic Studies, University of Helsinki. He is also the first president of the recently established Finnish Association of Political Economy Research. He has published in various academic journals on various topics including economic discourse, financialization of the economy, pension funds and corporate social responsibility. He is the co-author of Hyvä talous (Like 2011, in Finnish). 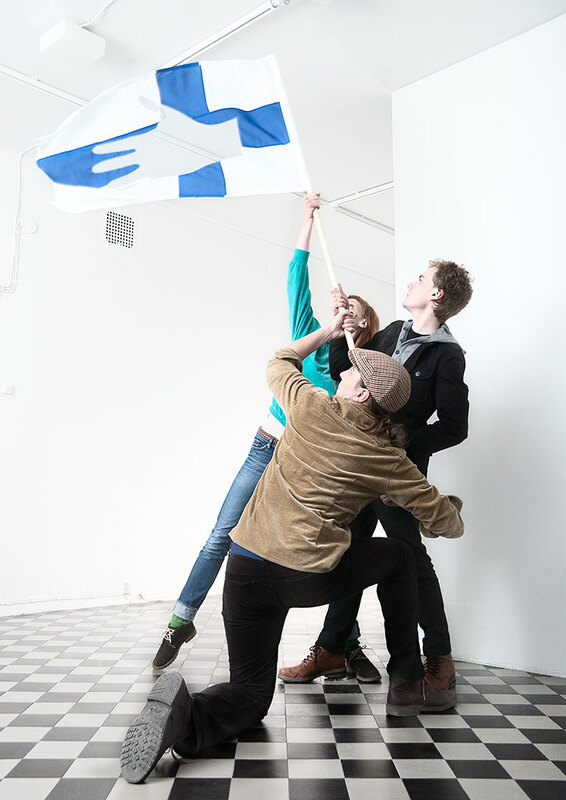 Visible Solutions LLC is a capitalist anti-capitalist artwork-enterprise co-owned by three artists, Karel Koplimets, Taaniel Raudsepp and Sigrid Viir. By situating itself at the border zone of economic and artistic fields, the company creates an independent platform for investigating the neoliberal utopia and its effects on both fields. The company was established in 2010 in Tallinn, Estonia, during a year of economic depression. In early 2011 the Estonian minister of finance was nominated the best of Europe by the The Banker magazine. Zachary Formwalt was born in 1979 in Albany, Georgia (US), and has been living and working in Amsterdam since 2008, when he began a two-year residence period there at the Rijksakademie. He is a graduate of the School of the Art Institute of Chicago (BFA) and Northwestern University (MFA) and attended the Critical Studies Postgraduate Program at the Malmö Art Academy in 2004. He has presented solo projects at D+T Project, Brussels (2013), AR/GE Kunst Galerie Museum, Bolzano (2011), Casco—Office for Art, Design and Theory, Utrecht (2010), Wexner Center for the Arts: The Box, Columbus, OH (2010), and Kunsthalle Basel (2009). In Critical Review of Icelandic Power Structures you take the position of journalist who has on one very basic question: Where lies the power? This question is not asked so often in the public space or to ordinary people. How do you see this act of asking in the public space, and not asking it to the sociologist or political scientist? Why I chose to even in the first place work with the topic of power was because I had by chance read an article about the icelandic “business scene”, and I found it quite interesting how almost a “whole nation” was generalized in this article, and that is why I wanted to get involved in discussions about power with icelandic “normal” or lets say random people. And for me, as an artist, being in a public space is the best one to find so to say “normal people” – otherwise most people around me are artists (and they are perhaps not always the most “normal” people…). And yes, I think it is a great way actually to give a voice to “normal” people like this. I mean, when are our voices & opinions really ever heard? yes, in internet debate forums and on TV, but rarely in direct unplanned conversations between strangers. And as shown in my piece, the idea of power can mean very different things to different people. That I found very interesting. Perhaps we all should take this on as a task; to engage in interesting discussions with strangers for a couple of hours once a week. Or hand out sandwiches like Sophie Calles. Yes, perhaps it was not wise to me use the concept “normal people” in the first place, but somehow it raises the question about artist’s and economists (or media person’s who has power on societal questions) and their audience or target people and how these professions see those. Generally I feel that, when watching and hearing an economist talking in media, I am only to be used for his or hers own purposes and the reason for him talking is to get my approval for those purposes. How do you see the role of the artist as compared to that of the economist? Do you have as an artist purposes for what you want get audiences approval? I think I am not so interested in getting approval – but then on the other hand, yes. Because in my work I want to discuss topics that I find important so yes if somebody agrees and says “hell yeah, this is true, thanks for opening my eyes to this issue” then I feel I did something right. But in the end an artists’ work should not be about convincing others about something – because that would probably be quite boring art and close to propaganda and fundamentalism. Isn’t the artwork mostly posing questions? Which is to say the rescue of art in an age of neoliberal enterprise culture will not take place exclusive within the realm of representation. Instead, it will require an appreciation of feints, dodges, sideways maneuvers, unexpected acts of reversal, and the ability to mimic organizational power like a clown, better yet, like a clandestine rebel army of clowns. Is your clown/journalist character a rebel or is there also critique/irony towards artists taking roles as journalist or activist? I believe this clown character is not really a rebel, perhaps to some extent but the simple act of wearing this masque gives me the freedom to talk freely about things I am not an expert on. But I do believe that the “clown” somehow disarms the public – they become a bit startled and do listen to what the “clown” is asking…if I would not wear the masque it would just be me, Nina, and that would feel weird to me – I mean, why would I be asking strangers about power. On the other hand if anyone, dressed up as superman or not, would ask me anything that I consider important – I would answer and engage in a discussion. But being clownish somehow just makes it easier to reach out to people. Like smiling. 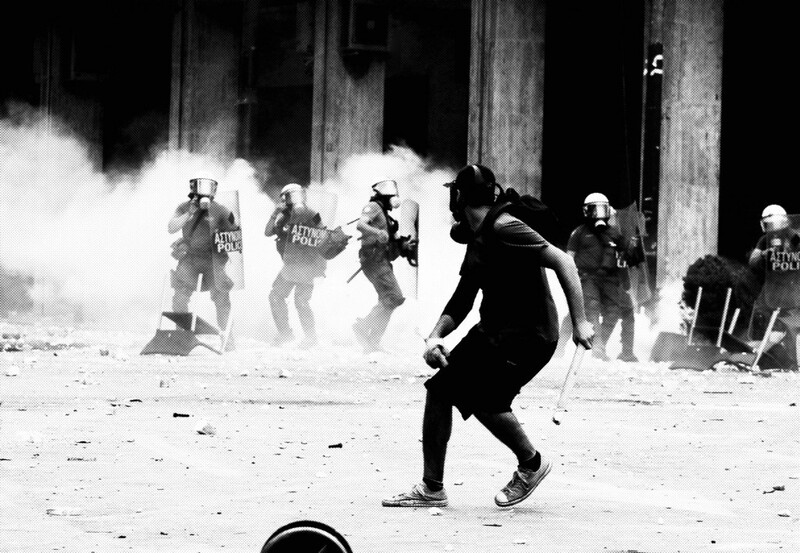 I think a rebel is someone who really shakes up things …. I’m not there yet…. You said that you are not there yet, do you see your works as paths to some other works or actions, maybe to really rebellious actions? 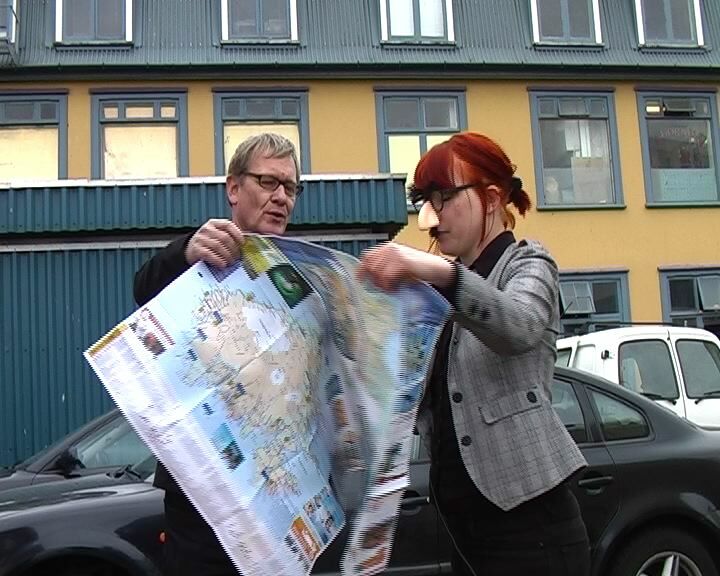 Can you imagine the next step from In Critical Review of Icelandic Power Structures? Do you think that you have learned something about power or economical power when realizing Critical Review of Icelandic Power Structures what you can use in possible next step? What I learnt by/after doing that event in Iceland was partly that many of my preconceived ideas were true and also not. I was happily surprised by some of the reactions that people have about power but then also not so surprised by some of the answers, i.e. that power so often is connected to wealth. I was mostly happy to hear that power meant nature to one of the people I talked to. But all in all most of the discussions I had I could somehow relate to and agree with. When it comes to the next step of another work I believe I would either make a similar work but somewhere else, to compare the answers. But of course I have “played” with the idea of changing the question into i.e. “where can I make money” or “where is the money”. Both are very simple question and both can get quite different answers. In a press release at the MediaBox exhibition you mention: “After the collapse of the Icelandic economy (October 2008) this work changed dramatically – for a while I did not know what to do with it.” How do you see the collapse of the Icelandic economy changed the meaning of work? and did it change your role as an artist? For me my work changed in the way that I did not know how to go on with my material because I did not want to appear ironic and funny about the icelandic peoples misery (most of the people I talked to answered that the future is bright when I asked them about their opinion on the future of Iceland.) On the other hand the people in Iceland have managed to change everything to the better so I guess they were right when saying that the future is bright but in 2008 I (and nobody else) was not sure at all – it all seemed very gloomy then…and I did not want to hurt people’s feelings. So I did not want to go on making a piece where the word “bright” is heard all the time. That’s why I waited a little bit. Then later on in 2010 I met with a curator for the Latvian Survival Kit Festival and we decided to show my documentation of the work. The festival deals with artistic ideas and works about survival in times of economic crisis. And in 2012 I learnt that Iceland was paying back their debts 3 months prior to the deadline I thought to myself “how typical of them” and I did a new edition of the video for MediaBox in Helsinki. Nina Lassila was born in Helsinki Finland 1974, lives and works currently in Gothenburg SE / Berlin / Belgium. She is a visual artist working mainly with video and performance. In many of her works she deals with questions of identity – specifically identity affected by social barriers, conventions based on gender and upbringing and cultural differences. 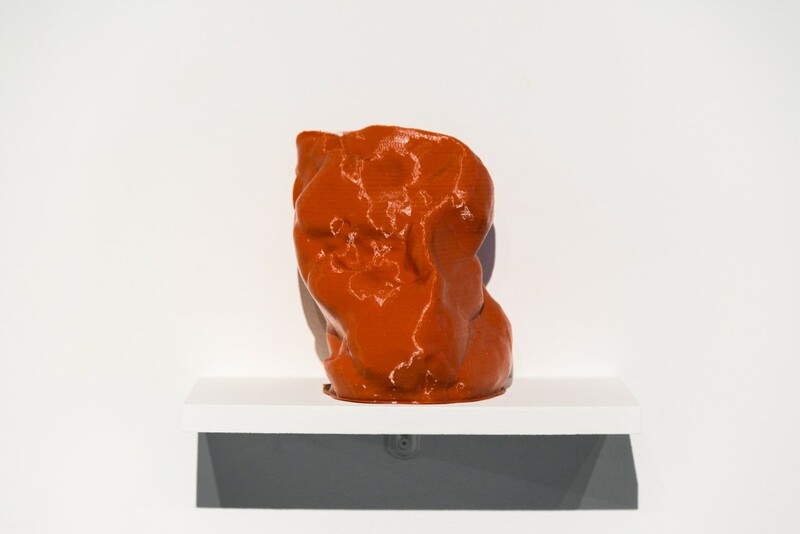 Her other bodies of work explore issues of supernatural phenomena and economic structures. She criticizes, scrutinizes and dwells into different topics. As an artist Nina sees herself having a sort of an artistic license with which she moves freely around in different areas of phenomena and themes. She has collaborated with many other artist i.e The Mobile Box and is currently part of the Roni Horni duo. She has taken part in several group shows and video festivals internationally. To Begin With A New Frame – Conversation with Kristoffer Ørum. One of the main starting points in the Skills of Economy project is the discourse and vocabulary produced around economy. This also seems to be the starting point of your work Disbelieving Economy with Anders Bojen. How would you describe your personal experience and/or experience as artist/cultural worker with the discourse and vocabulary of economy? At the heart of my project with Anders Bojen is the hope of developing new ways of discussing our society including notions of the circulation of goods and production of “value”. Examining The Economists list of economic terms, without a “proper” economic knowledge, we found that they took up a kind of totemic or ritualistic quality. These economic terms seem to feel both familiar, because of the heavy use of these terms in the mainstream media, and deeply alien, because they are used without historical context and outside of their original theoretical background. To us the seemingly endless repetition of these terms in media as well as the mainstream political discourse seem to be blocking any “real” discussion of what kind of society we might actualy want to develop. there can be no true human community on the basis of presupposition – be it a nation, a language itself, or even the a priori of communication of which hermeneutics speaks. What unites human beings among themselves is not a nature, a voice, or a common imprisonment in signifying language; it is vision of language itself and, therefore, the experience of language’s limits, its end. For me your work created an experience of language’s end, true community cannot be based on markets and language of market’s but on how we experience the limits of the discourse to express about our emotions and feelings. How do you see this? When you talk about languages end you are so very close to what we were ourselves, in slightly different terms, thinking of. By combining sensory (AKA our ”primitive” empiric knowledge of the world) descriptions with the magical abstraction of economy it was our hope to bring about if not an end of language, then at least a temporary kind of short-circuiting of language – to create doubt by unmooring or undermining established ideas of economy, in order to make room for a rethinking of society outside the codified language of popular cultural conceptions of economics. To give a feel for where we are coming from, we have taken our cues from George Lakoffs recent writings on the language of economy as well as Thomas C. Leonards writing on the history of economic terms and ideas. I want to go back to experiences and feelings because often I feel when doing work in the cultural field that there should be something else than economic language to use when creating/producing art works, exhibitions or whatever. Least this “economic language” should be somehow connected to language of emotions and feelings. Could it be that the first phase to get “real” discussions, or putting politics back to economical discussions, is to show how disconnected these rhetorics are from language of emotions and feelings? This is what our work seems to do. I think at the outset of our project we were more interested in connecting the sensory and the abstract – I guess we find that often societal, or at least our own, ideas of emotions and feeling are as abstract and as caught up in conventional thinking as our ideas of the economy. 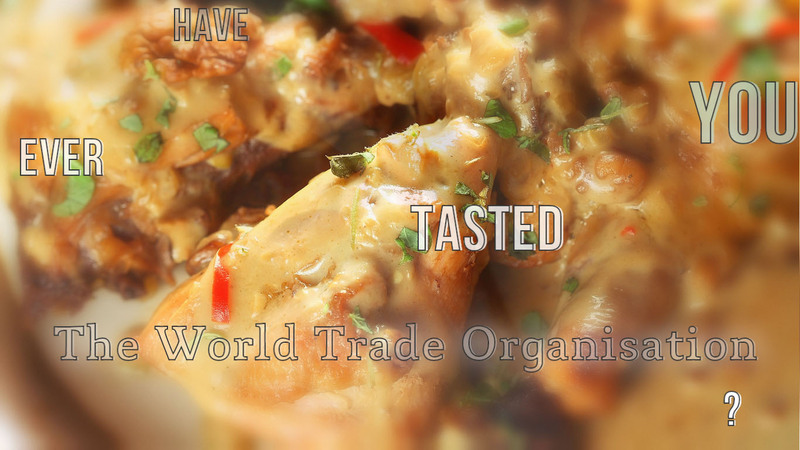 So we wanted to address the perceived opposition between economy and sensory experiences. From the point of view that reason and emotion are not mutually exclusive, but rather interdependent and deeply related parts of how we function as human beings. So i guess we wanted both to show how disconnected economic language has become from the language of emotions and feelings, but hopefully also vice versa – how the language of emotions and feelings has become fenced off from economic language and removed from its natural entanglement with the intellect. Lakoff is claiming that democrats haven’t understood that speaking truth is not enough. Democrats should create counter-frames for their political rhetoric. Your work seems to clear space for another frame, how do you see what that counter frame would contain in Danish/European perspective? Yes exactly – we are trying to create space for a new frame – I think before we can even come up with any kind of durable alternative conceptual frames, in Lakoff’s sense, we need to clear ourselves of the frames we are already embedded within. I would be very reluctant to start constructing any kind of new frame as of yet – I believe that would be preemptive and counterproductive – as it would be based on our existing ideas, rather than those ideas we hope to gain through a new linguistic framing of economy.